Delivery price subject to specific areas. Click below to receive instant price quote! 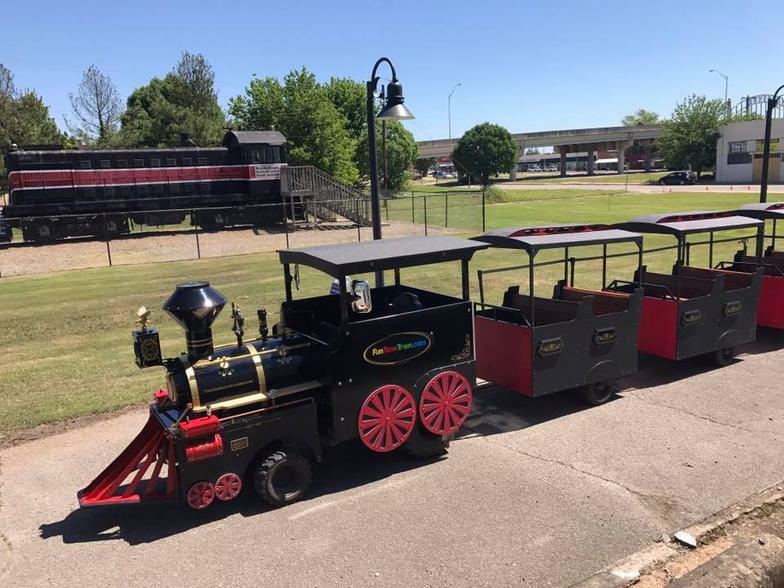 Our trackless train offers our customers a fun experience riding the nicest Trackless Train in Oklahoma! Our train has an actual working smoke stack, train whistle, and a nice PA system that is in every car so our Engineer can play fun train songs for the passengers! 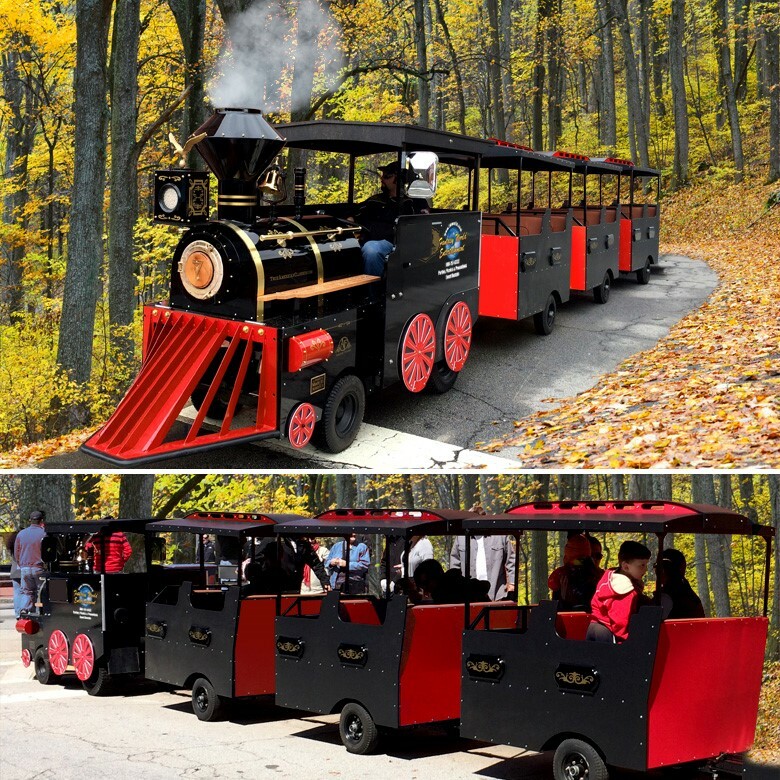 Train comes with 4 passenger cars that have 2 bench seats per car that fit kids and adults. Perfect for festivals, schools, churches, & private parties! Hope aboard the Fun Time Train!